The Netonix® WISP Switch™ model WS-12-250-AC is designed specifically for the WISP industry with a rugged chassis and extended operating temperature range. 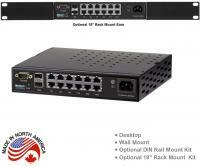 It features a simple yet powerful user interface providing the software features WISPs need in a switch. 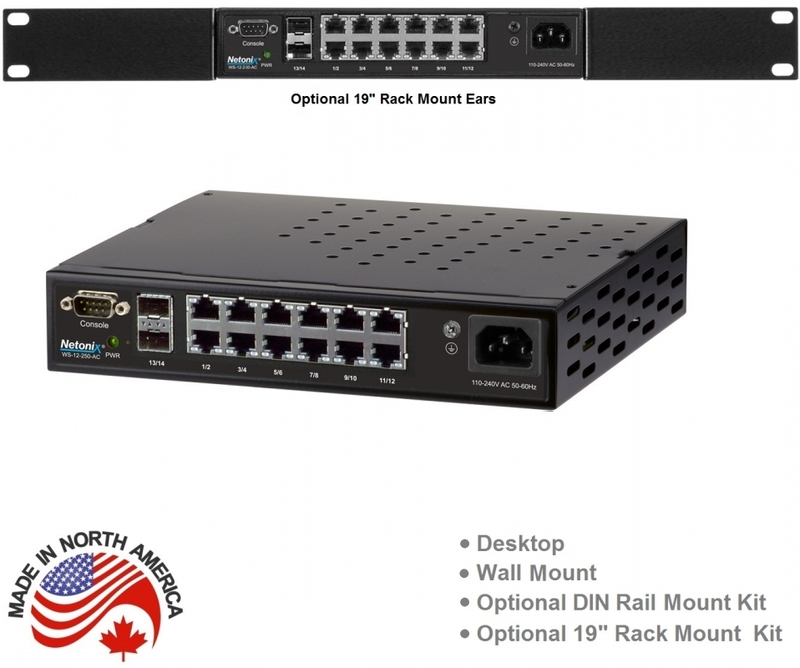 14 Ports in a small package! 24V PoE Ports, Pins 4,5 (+), Pins 7,8 (-), 1A. Ports 01-12. 48V PoE Ports, Pins 4,5 (+), Pins 7,8 (-), 1A. Ports 01-12. 24VH PoE Ports, Pins 1,2,4,5 (+), Pins 3,6,7,8 (-), 2A. Ports 01-12. 48VH PoE Ports, Pins 1,2,4,5 (+), Pins 3,6,7,8 (-), 2A. Ports 01-04.